If you want to venture out during your stay, you won't be short of things to do or places to go. Michael and Stephanie have a vast knowledge of the local area and are always happy to share their tips for the best walks, shopping or eating out. Below are a few highlights in the immediate area. Winchester has amazing sights as an ancient capital of England. Popular highlights include: Winchester Cathedral, Great Hall, Winchester College, King Arthur's Statue, Military Museums, Chapel of St Cross, Water Meadows. Shops: Cadogan (men and women's clothes). Those keen to discover the market town of Alresford and its surrounds can visit the Watercress Line, Avington Park, Hinton Ampner National Trust House, and Chawton - Jane Austen's house. Do visit Long Barn to learn about Lavender, and Moda Rosa for boutique shopping. There is good shopping in Stockbridge, particularly George Clark for gifts and decorative home interiors, Orvis and Broughton Crafts. The Winchester Cathedral Christmas Market is a huge attraction (17 November to 20 December in 2018). In Winchester, there are high class restaurants such as the Black Rat (1 Michelin star); the Hotel de Vin, the Chesil Rectory and Brasserie Blanc. More recently opened are ﻿Rick Stein's restaurant and River Cottage Canteen (Hugh Fearnley-Whittingstall). You may wish to eat in one of the excellent pubs in the city: the Wykeham Arms and the Old Vine, or just enjoy a drink in one of the many pubs such as the Black Boy. In the locality of Winchester, there is further choice for eating out. For example, the Clos de Marquis on the A30 towards Stockbridge, and the Greyhound and Three Cups within Stockbridge. Thyme and Tide (in Stockbridge) is a Bistro, Deli and specialised fish shop. 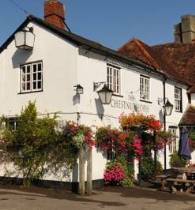 The Chestnut Horse in Easton (half a mile from Bridge House) is a favourite with many guests, with other great places such as the Plough in Itchen Abbas, the Bush (Ovington), the Woolpack (Totford, just next to the Grange), the Bell (Alresford) and the Flowerpots (Cheriton) with its own brewery on site. In Alresford, visit the award winning Caracoli Coffee House and Food Store. > Fishing. 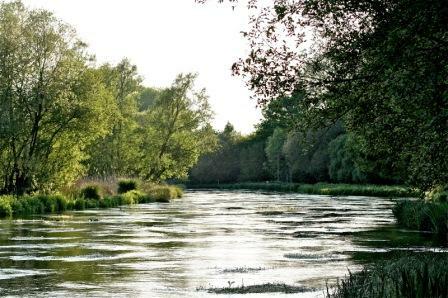 Trout fishing may be bought through the Rod Box in Sutton Scotney or the Avington Trout Fishery. The highly acclaimed and stunning setting for the new Grange Festival Opera (Northington) is just 3 miles away. The season runs from 6 June to 5 July in 2019. Use Itchen Valley B&B as a base to take in a night at the opera and enjoy a picnic in the majestic grounds of the Grange. For more information and to book tickets, visit http://www.thegrangefestival.co.uk. 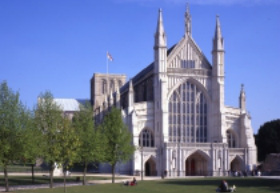 There are concerts at Winchester Cathedral throughout the year, including the world famous Winchester Cathedral Choir. Music in Winchester gives all the details. The Winchester Festival takes place during July. Martyr Worthy and Itchen Valley are part of the South Downs National Park which include walking and cycling routes taking in breathtaking scenery. 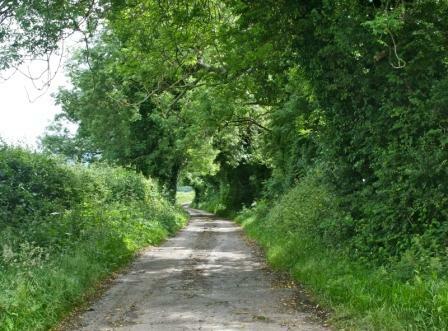 The St Swithuns Way passes 300 metres from the house, and there are many other historic walks.